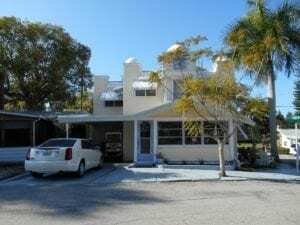 A couple of weeks ago, my friend and fellow backyard businesswoman, Lisa Burns, of Backyard Getaway suggested that we visit the the Braden Castle Park National Register Historic District. She knew I’d love the diversity of tiny cottages found in the neighborhood. 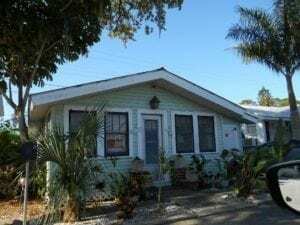 So, the next day, I happened to be heading south to Sarasota and made a detour on my way back north to visit this unique 55+ community. 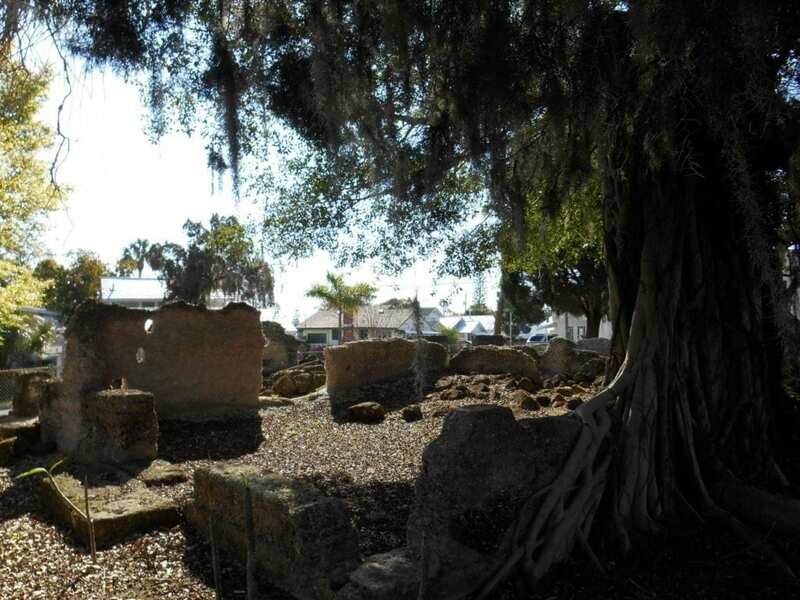 The centerpiece of the neighborhood is the ruins of the house of Dr. Joseph Braden. Dr. Braden settled in the area in the 1840s, establishing a large sugar cane plantation. 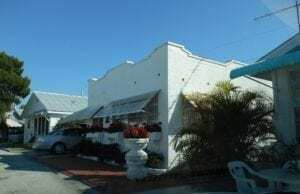 In 1850, he built a two-story house of tabby, a cement-like material made of crushed burned oyster shell, sand and water. Dr. Braden eventually lost the property, and subsequent owners occupied the building until 1876. The house was extensively damaged by fire in 1903 and allowed to fall into ruin. 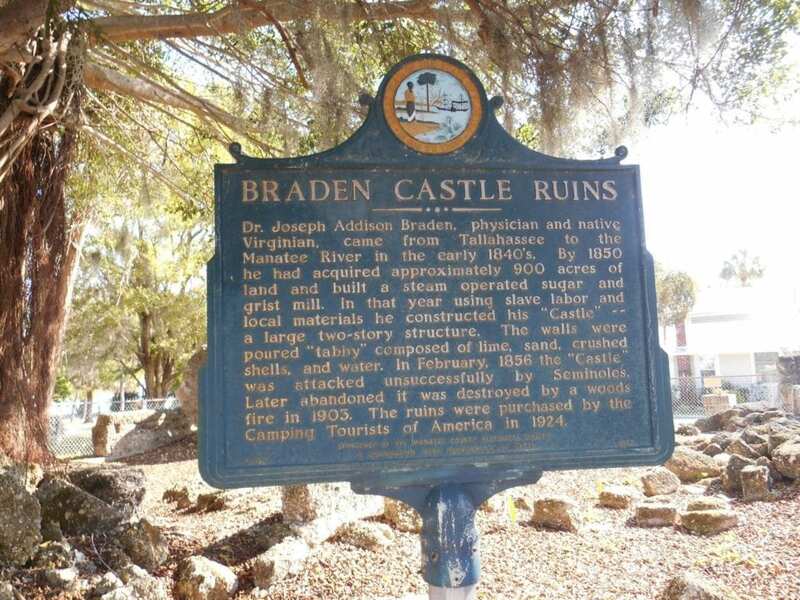 A historic marker tells the story of the Braden Castle house ruins in the middle of the neighborhood along with a faded historic photo of the house. Little remains of the once grand house, but the ruins seem eager to tell their story. In 1924, the estate was purchased by a group of northern “Tin Can Tourists” seeking a permanent place to winter each year. The property was laid out in 200 small lots, and cottages, no bigger than 34’x34′ were built as seasonal homes along narrow dirt roads. Small office buildings, rec centers and other support buildings were also built to serve the community. 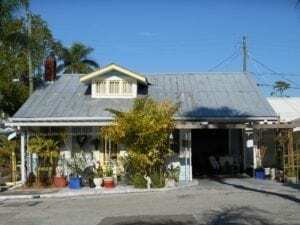 While the buildings certainly have been altered over the years, and even fell into disrepair during the 1960s and 70s, the charm of the historic cottages can still be seen while visiting the area. 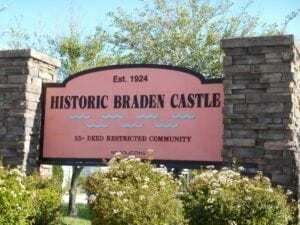 To learn more about the history of the neighborhood, go to the Story of Braden Castle and Braden Castle Park website. 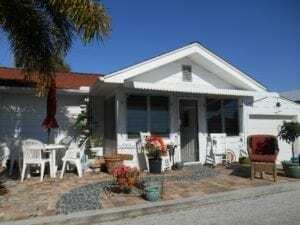 The neighborhood serves as great inspiration for anyone interested in creating a small/ tiny house village, showing the diversity and charm small cottages can have, and how a collection of them can create a lasting community.The neighborhood was listed in the National Register of Historic Places in 1985. This sign welcomes visitors to the neighborhood along with Florida Heritage trail marker. The cottages are set close together. 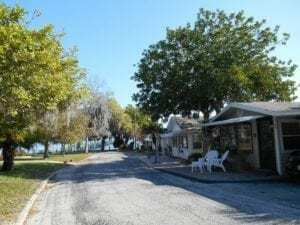 Many streets terminate with peaceful water views. 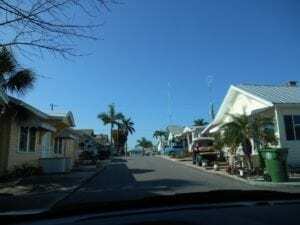 A series of little tropical homes create a lively streetscape. A mixed stone and brick fireplace makes a nice accent on this little cottage. 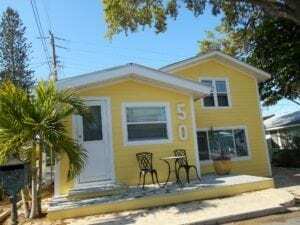 Bright colors are now seen on many cottages, giving the neighborhood a festive feel. Many cottages in the neighborhood are simple one-story front gable buildings like this. 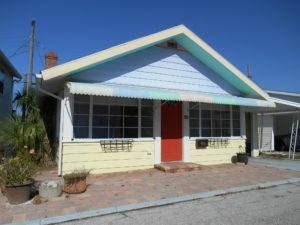 A shingled airplane bungalow with jerkinhead roof supported by brackets. Most cottages in the neighborhood are frame vernacular, but a few Mission style can be found. 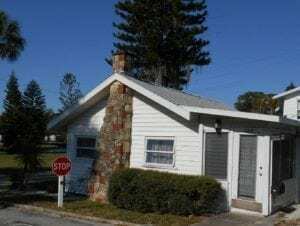 Even the historic office building is small. Making the most of outdoor living. 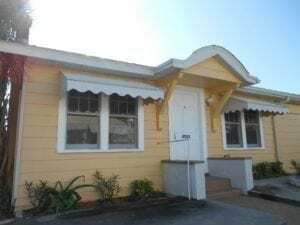 1-1/2 story jerkinhead cottage with shed dormer. Side gable cottage with gable dormer.